I can certainly say that I don't like be ignored, and you're probably right there with me on that. Also, if you're like me, you don't like being blocked on an instant messenger, either. There's something about being shafted like that that can really cramp your style. Now, there are legitimate reasons for someone to be blocked on a chatting service or unfriended on a social media account, but when you are the one being blocked, for seemingly no reason whatsoever, the circumstances change. Have you ever wondered if one of your acquaintances or co-workers blocked you on Google Talk? Well, here's a nice way to find out exactly who is blocking you. Pidgin is a chatting app that can be used for a bunch of instant messaging tools such as Gtalk, AIM, Yahoo Messenger and MSN. You can download it here. 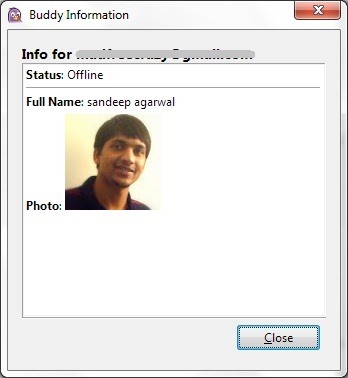 Once the Pidgin application is installed, you can then choose which messaging program you want to use and login. Once logged in, you can chat as you usually would, but with Pidgin, you can also get more information about other users. Gmail allows users to be invisible if they do not want to be bothered, but Pidgin lets you display these invisible users. 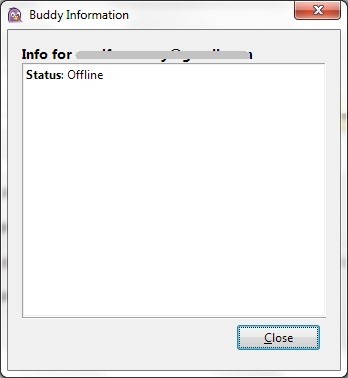 All you need to do is go to Buddies -> Show -> Offline Buddies. From here you can right-click on the person you think is blocking you. When you right-click, the mini-menu will pop open and you will click on Get Info. If the person has blocked you, you will only see their status—online or offline. If the person has not blocked you, you'll be able to see their full profile summary. So, there you have it. If you have an inkling that someone may be blocking you, this is a great way to find out.